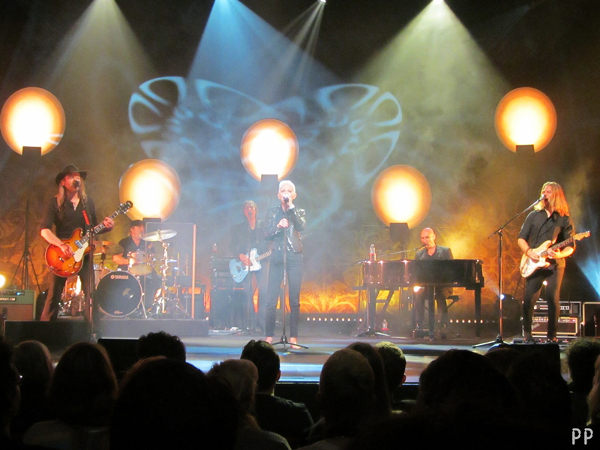 So far we have got several audio bootlegs from this year’s leg of the mighty Roxette tour – including Adelaide, Melbourne, Singapore, Buenos Aires, Birmingham, Dublin and San Francisco. But with this new release it’s a little bit different thing. First of all – for the first time you get one concert recorded by three people from three different perspectives (sitting, in the crowd and outside of it). We weren’t able to pick up the one that represents the finest quality so we have decided to go out with all three recordings done by Slawek (known from his great work for Gessle Over Poland and Warsaw 2011 DVDs), Damian (who is passionate with recording various gigs on video) and Nikodem. Blanka is once again behind the cover and booklet for this release. 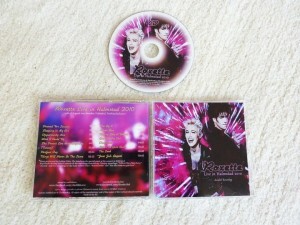 Secondly – our audio bootlegs are always previews of video releases that will surely pop up somewhere in the next year. Thirdly – as we earn nothing, we share it for free. 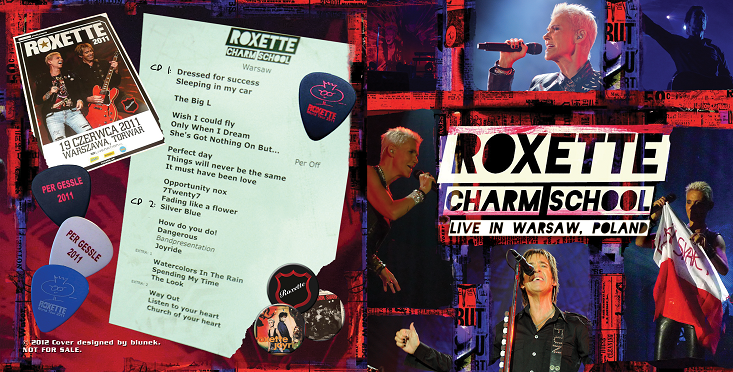 After over a year of waiting (and we all know that Roxette fans CAN actually wait very long for things to happen) we are finally very close to releasing the video bootleg from the Warsaw 2011 concert at the Torwar Hall. At this point we are only releasig the audio recordig which is a great preview what you will be able to see in a great quality pretty soon. Big hand for Blanka Pentela for doing amazingly nice artwork and Damian Kaplita for recording the show on his proff camera. If you want to hear what almost 100,000 Aussie fans are experiencing now, have a listen and download audio bootleg from Adelaide concert on February 20, 2012. And I tell you – the quality is pretty decent! Big thanks to Gyöngyvér for helping with getting those files up on the site. 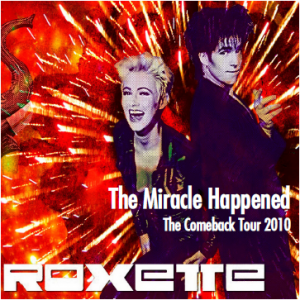 Here it comes – the Samara bootleg that was recorded during Roxette’s concert there on March 3, 2011. Thanks to Kiki Em for this information. Time flies – 10 long, windy days passed since I had posted the last bootleg here on RXB. So now it’s a high time to present you two “new” audio recordings from one and only concert. Sweden’s Liverpool, Roxette’s hometown, småstad or whatever expression you would like to use – it’s all about rainy and cold Halmstad which got a little bit warmer on August 14th. The first bootleg (let’s call it Czech) includes all songs – the last ones from Gyllene Tider are ripped from the well-known YouTube videos. The second one (it could be Polish-German one) has a nice cover plus all the songs except “It must have been love”, “Joyride” and two GT’s classics like “Sommartider” and “När alla vännerna gått hem”. So it’s up to you to choose which one is the bigger, the better. Thanx for yesterday. A truly magic night that we’ll never forget. Rox were great, GT were great, the crowd was awesome!!!! Cheers, P.
St. Petersburg in audio is still waiting in the line. Do you have any other recordings? Maybe you ripped any of these video bootlegs I posted. As we haven’t been at the concerts Arlanda and I (Kerstin) decided to make this little bootleg to remember and celebrate Roxette’s comeback. Inspired by Per’s Gessle Over Europe we searched youtube for concert videos to get songs from every concert. In doing so, our intention was not to create a fine high quality masterpiece but a nice souvenir of this miraculous tour.